Homeownership costs a lot of money—from mortgage fees, maintenance costs, yard works and other household needs, the cost can add up pretty quickly. This is the reason why many homeowners cut expenditure by doing their own home repairs. However, there is one situation that you should never try to do on your own unless you are professional — electrical repairs. Even the slightest mistake can lead to frayed wires or cause a spark that can start a fire. Calling a licensed electrician here in Singapore is your best solution when it comes to dealing with your home’s electrical issues. When you see yourself under any of these circumstances, it is always ideal to seek professional electrician services. If your home is more than 40 years old, you should have it checked by a professional for an electrical system overhaul. With a structure that old, the wiring and outlets are certainly out of date (i.e. two-pronged outlets instead of three, cloth-covered wired, etc.). If there’s rust, this should be taken care of right away as it can get into the wiring components and cause electrical shortages. Construction of property requires a permit under a contractor’s license and an inspection by the municipality or the city where the property is located, and you are required to abide by these regulations to minimize fire hazard. A good electrician like powermax electricians in Singapore will be able to set up your property’s electrical works in a size that can handle your current and future electrical needs. It’s just impossible for a homeowner to call Singapore Power and tell them that you just had a new property constructed and need power supply from them. Oftentimes, in older houses, there are not enough outlets installed. Many people overcompensate with extension wires, power strips and adapter plugs, but this can cause a hazard in many ways. Cords lying on the floor can cause injury, appliance damage or worse fire. If you need more outlets to be installed, call a licensed electrician for assistance. Have you felt a minor shock or a tingling sensation whenever you plug in—or even just touching—an appliance? First, consider whether you just passed by a carpeted surface, because the mild shock could be from a static electricity build up. If this is not the case, and you felt a tingling sensation from plugging an appliance into the outlet, call an electrician immediately. This could be a sign of a ground fault or a problem with your home’s electrical wiring. A good electrician has the right tools and experience to find the root cause of the issue and resolve it. When doing some household works and noticed damaged, faulty wires, you are probably fronting an amateur electrical work. If someone owned the property before you, there’s no doubt that the work was a result of a DIY. Although there is nothing wrong with DIY home repairs, electrical works is not an ideal do-it-yourself project. Remember that the smallest mistake can cause a serious and even fatal damage. Instead, contact a professional to check your damaged wiring and correct the errors. Whether you want to keep burglars away or just want to impress the neighbourhood with outdoor lighting, have the job done by a professional electrician. A good electrician will help you choose the right lighting to install in different spots of your outdoor area. Some of the important places are the driveway, front and back yard and in key spots for highlighting decorative arrangements. 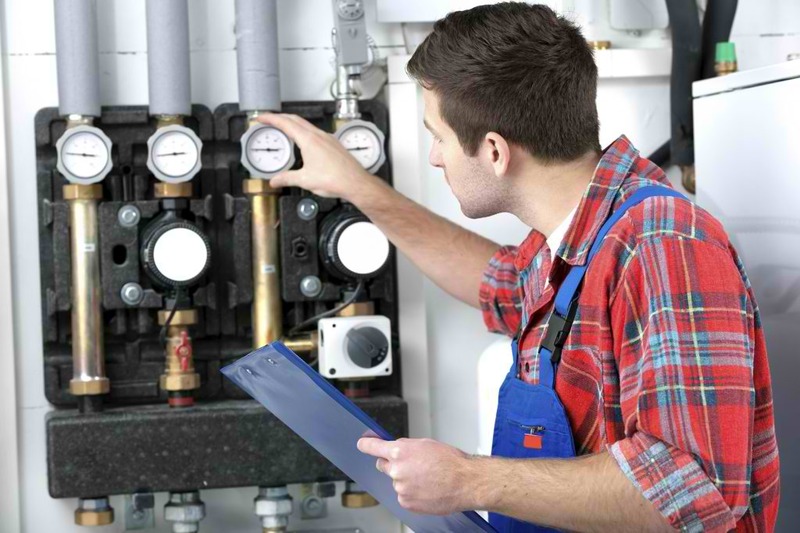 When working in places where there is plumbing, such as the kitchen, bathroom and basement, assume that water is present; therefore, you should be twice as cautious when dealing with these electrical works. Water is conductive, meaning electricity can travel through it and may cause electrocution, which may lead to permanent injury or even death. Save yourself from this catastrophic incident and call a professional instead. If your home is 20 years or older and you just bought modern appliances, make sure that your outlets and your electrical system are compatible with your newly-bought equipment. Have your system checked by a professional to ensure there is no voltage or wiring inconsistencies. You don’t want to spend your hard-earned money on a house that needs major repair, nor want to sell a property with faulty electrical system to someone else and possibly cause them damage in the future. When buying or selling a house, you should have an electrical specialist to consult with and inspect the house before moving forward. The only time the lights should dim is when you adjust the dimmer switch. However, when the lights do not provide consistent lighting, it could be a sign of a more serious electrical problem. Flickering light is usually a sign of power surge. If a large appliance like the air conditioner puts too much strain on your power system, it can cause a series of power surges that result in dimming or flickering lights. While the flickering seems like a minor issue, the underlying cause can be a major hassle if left unattended. Call an electrician services company to have the problem checked. The truth is that there are very few circumstances where you can perform electrical upkeep and repairs on your own. 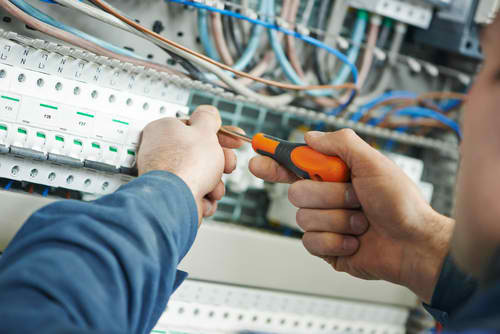 Since we always want our system to be in perfect working condition and our family to be always safe and comfortable, let a professional electrician in Singapore take a look of your home’s electrical system and make sure that it’s up to date and 100% safe.